Being blues/rock icon Johnny Winter‘s hand-picked touring and recording guitarist is just one of the accolades held by Grammy-winning guitarist Paul Nelson who has also shared the world’s stages and/or recorded alongside Eric Clapton, Buddy Guy, Billy Gibbons, Slash, Warren Haynes, Derek Trucks, Vince Gill, Sonny Landreth, Ben Harper, Joe Bonamassa and the list goes on. Whether it’s headlining festivals, performing to packed houses at many of music’s most prestigious stages or iconic clubs like New York’s Iridum, Blue Note, 55 bar and BB Kings to London’s Astoria and Buddy Guy’s Legend’s in Chicago, Nelson’s guitar mastery and band in a live setting are the most impressive and unforgettable. With appearances on late night with David Letterman and Jimmy Kimmel, Nelson a blues hall of fame artist is known for his amazing tone and playing style by an ever growing legion of fans establishing him as one of today’s leading modern blues guitar trendsetters. 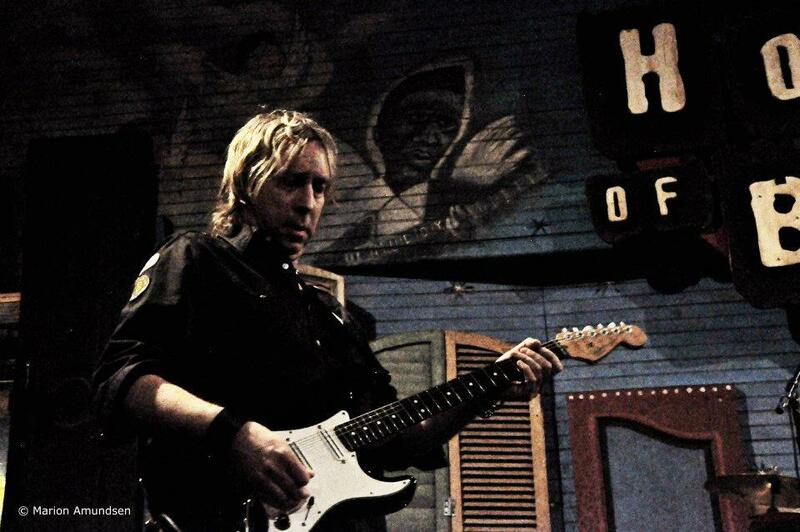 Come see why this guitarist’s guitarist and band are packing houses on tour now! Nelson, who studied with Steve Vai in his Berklee days, and jazz fusion greats Steve Khan and Mike Stern created a tour de force with his first solo all-instrumental blues/rock/fusion solo release, entitled LOOK. – “A very diverse package that takes the listener on a sophisticated journey through the musical mind of Paul Nelson. “His latest CD exudes boundless energy, and displays ferocious solo sections at the same time showing us his control over an emotional side of playing and amazing tone all the while holding it together with a tasteful melodic sense which comes through on each cut”. Staying at #1 on the “Hot New Releases” charts for months. Nelson’s latest project “Badass Generation” on Sony Records.